Marcha Fox is a science fiction fan and author whose love of astronomy resulted in a bachelor’s of science degree in physics from Utah State University. This was followed by a 21 year career at NASA, where she held a variety of positions including technical writer, engineer, and eventually manager. Her NASA experience was primarily at Johnson Space Center in Houston, Texas, but included trips to Cape Canaveral in Florida; visiting other Centers in Mississippi, Alabama and Maryland; as well as visits to California and the European Space Agency in The Netherlands. Her most memorable experience, however, was the sad task of helping to recover space shuttle debris in East Texas following the tragic Columbia accident in 2003. Would the truth be known, her first love has always been writing. To that end, her primary motivation for going back to school at the age of 35 to obtain a physics degree was to produce more accurate science fiction. (You can read her essay about what her college experience was like here.) While working at NASA, she remembers going to see the movie Armageddon with a friend who was in the oil business. Afterwards, the two proceeded to rip the movie apart for its inaccurate representation of both industries. She admits that Cyraria’s figure-8 orbit around a binary star system is a bit of a stretch. Nonetheless, it’s mathematically feasible, even though it would be unstable–life on such a planet would be beyond challenging with its seasonal extremes. “It’s speculative but possible, which is exactly what makes it a good setting for the story,” she adds. Born in Peekskill, New York, she has lived in California, Utah, and Texas in the course of raising her family. This included fifteen years as a stay-at-home mom before returning to college in her 30s to obtain her degree, a feat accomplished while she still had six children at home. All are now grown with children of their own, providing her with 17 grandchildren and two great-grandchildren, so far. Never at a loss for something to do, besides writing she enjoys gardening, her two Bengal cats, and pursuing her study of the heavens in yet another realm, that of astrology. She sees no conflict with modern science, other than the fact that technology has not yet advanced far enough to determine its mechanism. Her astrology clients span the globe, accessing her through her website at www.valkyrieastrology.com as well as on Facebook. Her research into the astrological influences in effect at the time of the NASA accidents was published in the journal of the International Society for Astrological Research (ISAR) in 2006. 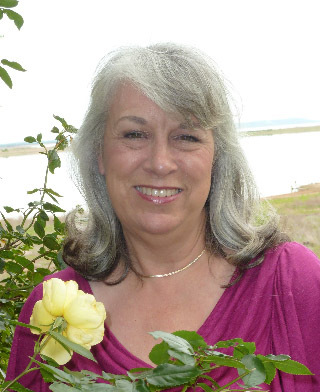 She’s a graduate and former instructor of the International Academy of Astrology, conference speaker, as well as author of various ebooks on the subject you can view here or on Amazon.com. While most religions shun astrology, she finds that ironic as well. “If God created the planets, then how can their message not be from Him?” she asks. “The Christian religion turned against it millennia ago because it compromised the power leaders had over the people. This hailed back to the Roman Empire, which had a history of limiting its practice to its leaders. This, ultimately, had a strong influence on the policies of the Christian church. Others have simply followed that precedent, rather than conduct the necessary research to determine the real reason.” A future work will address how astrology lost favor with Christianity and explain how the premise and practice of this ancient art and science is fully compatible with today’s Christian religions. Learn more about Marcha in the interviews below as well as several more on the Events page.